Greetings! 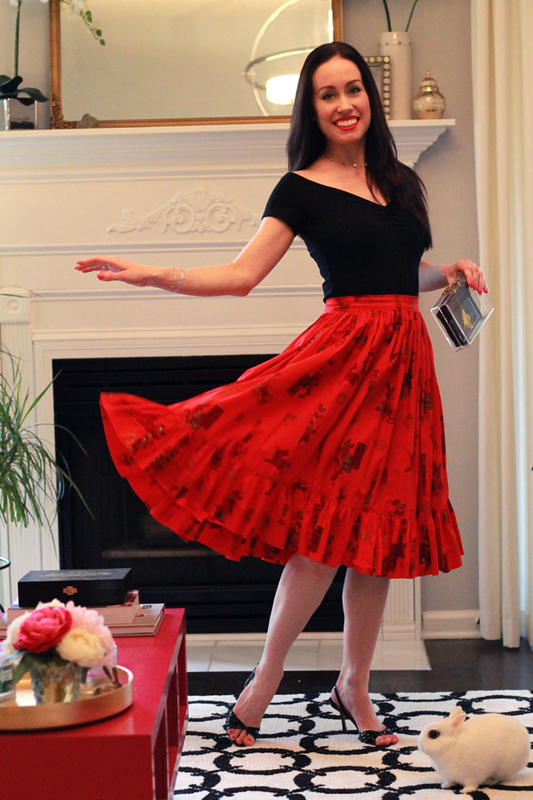 I'm excited to twirl around in this vintage skirt I picked up last year. I've worn it several times but was not happy with the overall look until I found this off-shoulder crop top at H&M recently. Now I feel like a flamenco dancing Sophia Loren! Who doesn't love a fun, ruffled full skirt? I'm also glad I thrifted these Jimmy Choo open-toe sling back heels recently - another great classic find! Have a wonderful week and thanks so much for dropping by. so classy and timeless. love! xO!